Since each state sets its own insurance rates, owning a car in some states is more expensive than in others. 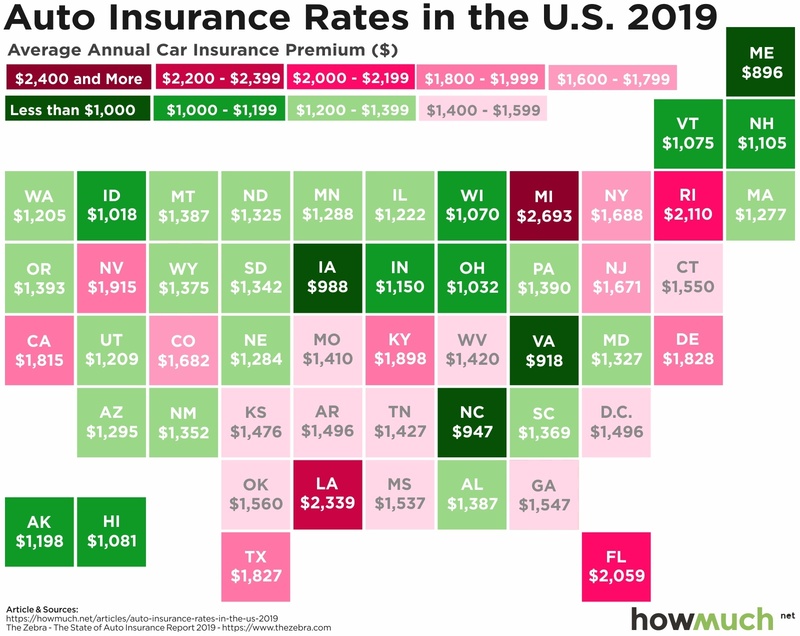 A recent report titled The Zebra State of Auto Insurance 2019offered a breakdown of the average annual car insurance premiums in every state. From September to December 2018, The Zebra analyzed more than 61 million auto insurance rates nationwide, using information from insurance rating platforms and public rate filings. The Zebra’s findings are shown in our latest infographic, below.